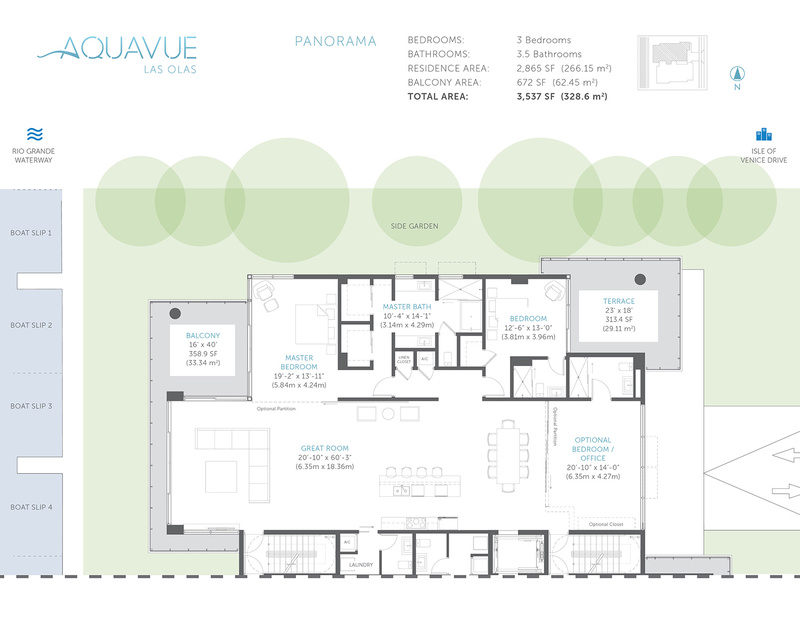 AquaVue is a modern luxury condominium near the water in Fort Lauderdale, which offers 8 exclusive loft-style residences with private marinas. Magnificent apartment with an area of 2 850 square feet can boast of extensive open space, layouts through the entire floor facing both the East and the West, floor to ceiling windows, high ceilings, plenty of sunlight and large terraces. All residences feature elite European kitchens with quartz countertops and equipment from Sub-Zero and Wolf, as well as extensive walk-in closets and beautiful water views. 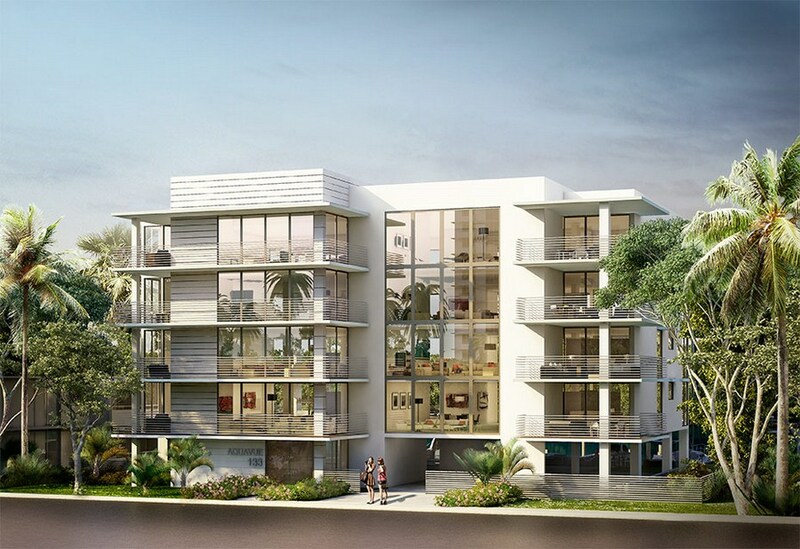 Being located on a bank of a deep canal, AquaVue condominium offers access to the ocean and 8 slips for yachts up to 50 feet long. Residents have luxury heated saltwater swimming pool and a relaxation zone with an outdoor barbecue area, storage space for kayaks and bicycles and electric cars parking area at their service. The condominium offers modern security system, personal electronic access to the territory, to elevators and residences, round the clock video surveillance and the ability to keep pets.